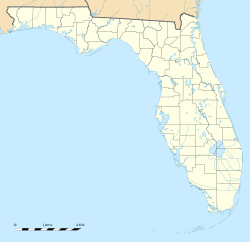 Bayside West is a neighborhood within the city limits of Tampa, Florida. As of the 2000 census the neighborhood had a population of 1,629. The ZIP Codes serving the area are 33611 and 33629. Bayside West boundaries are Bay Villa Avenue to the north, Tampa Bay to the west, U.S. Route 92 (Gandy Boulevard) to the south, and Manhattan Avenue to the east. The neighborhood is part of South Tampa district. The median income for the neighborhood is $37,262, which is slightly above citywide average. Bayside West is served by Hillsborough County Public Schools, which serves the city of Tampa and Hillsborough County. Madison Middle is located within the neighborhood. This page was last edited on 16 January 2018, at 19:26 (UTC).